Data is something which is critical for any Organization in any Industry or Technology, and to manage the sensitivity of the Data and also maintaining its privacy and security is the mission critical task and every Organization is spending huge amount of resources in performing this operation and it eventually takes additional cost for the management. Let's get in to our topic, before Exchange server 2013 its predecessors supported Data loss prevention options for E-mail security provided by other 3rd party software and managing the solution required additional task for the Administrators to learn and gain adequate knowledge on the DLP software and configure the Exchange server accordingly in aligned with the Corporate Information Security policy. With the advent of Exchange Server 2013 you don't need to rely on any other 3rd party solution for establishing DLP anymore as before. where in, it now comes as an in-built feature which can be enabled in few clicks and also easy to setup and manage according to our requirements without any special training or additional cost involved. 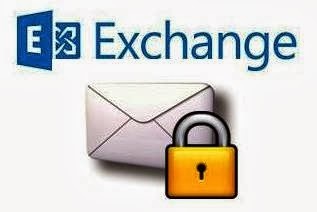 Every Exchange Admin is aware about the Exchange Transport rules and their functionality and this knowledge is suffice to establish the DLP, Also we have some predefined templates available which we can utilize to set up the policies at ease and also these policies are easy to understand and customizable according to our security needs, It ensures that sensitive data is not leaked out at any cost in E-mail perspective and provides warning message to users when they attempt to send any sensitive data, provides the option to either block those emails completely or override with justification and the most important one to consider is the reporting feature which notifies the Administrator or the Information Security professional on this activity made by the user as an incident with the custom report. Once you complete reading the above article, review the below Microsoft Press blog post where you will get a real time experience setting up DLP. Finally, It's always good to read things for understanding the subject and visually see things for experience. 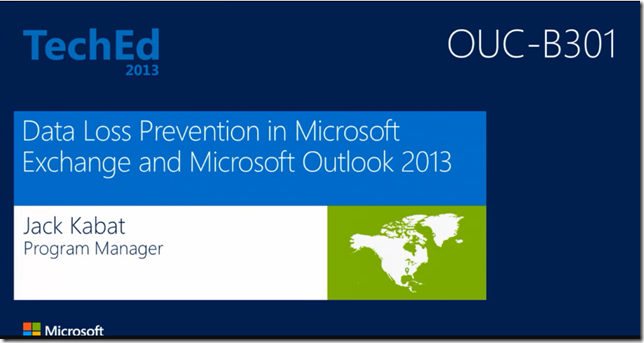 Review the below Teched Session from Microsoft to know more on DLP in detail which also covers the new DLP capabilities in Outlook 2013. * Check my new blog post on Exchange Server 2013 Transport Rules Overview where I demonstrated a bit of this feature in Action.